City of Chicago Mayoral Candidate and frontrunner for the 2019 Chicago Election came out strong for a Federal Lawsuit filed against Mayor Rahm Emanuel and Alderman Edward Burke. The Chicago Tribune completed an editorial exposing Rahm Emanuel and Alderman Burke for mismanaging 100s of millions of taxpayer dollars by Chicago Workers Compensation dictator Alderman Burke. The tribune called out mayoral candidates to address this issue. Willie Wilson is the first Mayoral Candidate to address the Federal Lawsuit filed by political activist Jay Stone and City of Chicago employee Patrick McDonough. 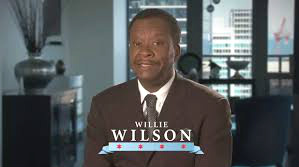 Doctor Willie Wilson is no stranger to the attacks of Chicago Government insiders attempting to discourage his exposing the corruption that has almost brought Chicago to its knees. Doctor Wilson, a famous and long-time humanitarian, gained notoriety recently helping disadvantaged folks pay their outrageous tax bills and speeding tickets that feeds the elite insiders’ wallets in Chicago. Doctor Wilson was accused of attempting to influence Chicago Voters, an outrageously false charge. Insiders make these charges to take away the good intentions of a man blessed with financial success and business accouterment. If anything, Mayor Rahm Emanuel and Alderman Burke should be brought to the table for refusing to give generously to the needy. Rahm and Ed squirrel away every penny they can and will not change. What a difference. The taxpayers will see through this. Doctor Willie Wilson feels this lawsuit filed by Jay Stone and Patrick McDonough appears well justified and Emanuel and Burke should be investigated to the full extent of the law. Wilson further believes that the attorney general should join the lawsuit and be part of the investigation. Dr. Wilson believes there is a great deal of mismanagement in the City of Chicago under the current administration totaling in the billions of dollars. This 100-million-dollar (workers comp) fund is just the tip of the iceberg. Dr. Wilson also applauds the Inspector General of the City of Chicago for his new transparency initiative involving a searchable database on the internet. It’s more than past time for the public to be able to see where their tax dollars are ending up. Dr. Wilson believes the Inspector General is an important part of the management of the city going forward and intends to support his efforts into the future. Special thanks to Doctor Wilson, Ms. Foxx, Scott Winslow, Frank Coconate, Mr. Avila, and Mr. Wilson’s expert support staff for their profound leadership in real issues affecting Chicago. Chicago City workers are impressed by Mr. Wilson’s stance. Editorials reflect the opinion of the Editorial Board, as determined by the members of the board, the editorial page editor and the publisher. It might be tempting to brush off a lawsuit filed recently against Chicago Mayor Rahm Emanuel and Ald. Ed Burke, 14th, as politically motivated. Two longtime critics of City Hall accuse Emanuel and Burke of violating Illinois law and the state and U.S. constitutions. The alleged infraction? Allowing Burke, through the City Council Finance Committee he chairs, to administer the city’s workers’ compensation program. The suit argues that the program, which costs taxpayers at least $100 million per year, according to a 2016 inspector general report, should be run by a City Hall agency, human resources professionals or the Law Department. The suit says the current arrangement — which is spelled out in the Chicago Municipal Code — is unconstitutional because it assigns executive functions to the legislative branch. We’ll leave that question to the courts. There’s zero doubt, however, that vesting complete control of the workers’ comp fund in a single committee chair, shielded from oversight, is a terrible idea. Burke’s role as the gatekeeper of workers’ comp benefits for the entire city of Chicago invites cynicism, and rightfully so. The lawsuit alleges that Burke, who has chaired the finance committee for 33 of the last 35 years, leverages his position to load up his staff with patronage workers. The role also allows him to dole out favors as he determines the outcomes of hundreds of cases of city workers who claim they were injured on the job. The lawsuit says jobs and disability benefits are awarded to precinct captains and others who help secure votes for Burke and candidates he supports. It says Emanuel has relinquished control of the workers’ comp fund to Burke because Burke helps round up City Council votes for measures pushed by the mayor. We’d like to see data to back up those claims, but that’s the point. Everything ends at Burke. We have long argued, along with a few members of the City Council, that city Inspector General Joe Ferguson should have the authority to audit the program. Someone other than Burke and his staff should be reviewing cases and claims that involve public workers and taxpayer money. But Burke, assisted by weak-kneed aldermen, has managed to wall off his committee from the purview of Ferguson’s office. The City Council in 2016 helped him by gutting an ordinance that would have given Ferguson the authority to examine Burke’s books. This was after many aldermen claimed to be in favor of it a year earlier, during election season. Then they flipped. It was outrageous then and it’s outrageous now. By comparison, Cook County’s workers’ comp committee, chaired by County Board member Tim Schneider, R-Bartlett, reviews and signs off on decisions that are made by experts in the county’s risk management department and the state’s attorney’s office. Schneider doesn’t have a staff. He isn’t negotiating compensation decisions. And the committee and its cases are open to the scrutiny of the county inspector general and the public. Cases that require a settlement eventually come to the full County Board for approval. At the state level, it’s similar. Lawmakers who head up House and Senate committees on public health or transportation or education don’t actually administer programs in those subject areas. The agency heads and staff who work for the state of Illinois do. The federal lawsuit filed by Jay Stone and Patrick McDonough — two activists with a long history of fighting City Hall — asks a judge to order the city to assign the workers’ comp program to the executive branch and to grant the inspector general permission to conduct an audit and claims review and to release the results to the public. For now, City Hall isn’t commenting. We’re happy the plaintiffs are calling attention to an issue Chicago’s elected officials have worked very hard to duck. Emanuel and every candidate on the ballot in 2019 should be on the hot seat regarding this question: Why should an elected alderman continue to act as a program administrator, in the dark, on an issue as expensive and important as workers’ comp? And why should he (or anyone) operate outside the watchful eye of an inspector general? It’s a blot on Chicago government that is long overdue for a fix. Who will have the guts to do it? 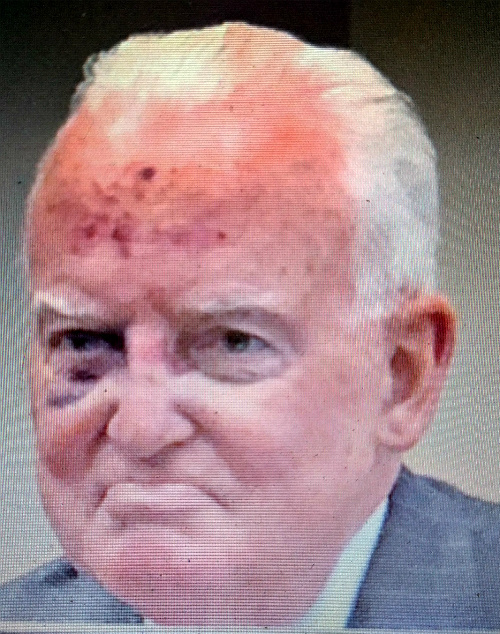 Last week in July, Alderman Edward Burke, the Chairman and Chief Executive Officer of the Chicago Committee on Finance was again in another mishap that caused massive internal bleeding and bruising that can cause the end of his storied political career. Chairman Edward M. Burke has been looking very frail for quite some time, has hidden his frailties with fancy suits and his iron grip of the Chicago media. Chairman Edward Burke’s staff at the 14th Ward office told me flowers can be sent to his 14th ward office at any time. They also told me he is missing from work again today. According to sources at the Mayor’s Rahm Emanuel’s office, Chairman Edward Burke will keep a very low profile and hope he is reelected and Mayor Rahm Emanuel agreed to place Edward’s brother Illinois State Representative Daniel J. Burke after the Aldermanic election. Many 14th ward Hispanics are upset because Edward is not sharing the power and the tens of millions of dollars of contributions from Chicago contractors and those wanting favors from Alderman Burke. 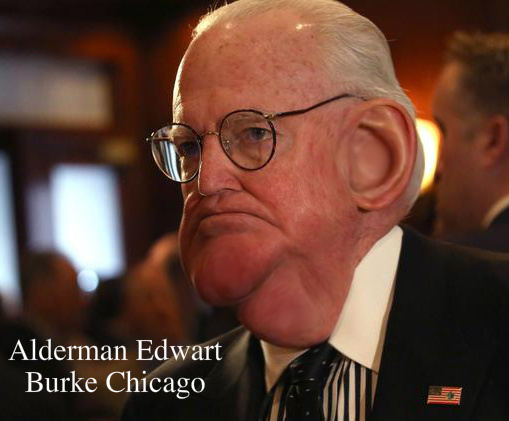 Edward Burke has controlled the St. Pat’s day parade, billions in no-bid contracts, and controls all the Chicago judges that look the other way when Edward is doling out campaign contributions to Chicago Alderman. If you thought for a moment that the City Council’s most powerful aldermen would ride off into the sunset after 50 years in politics to avoid a difficult election he could lose, think again. Ald. Edward M. Burke (14th), chairman of the City Council’s Finance Committee, is running for re-election. “Why would you wonder?” Burke asked reporters Monday. Burke has a political bulls-eye on his back after his brother, state Rep. Dan Burke (D-Chicago), was defeated by 26-year political newcomer Aaron Ortiz in a race dominated by Edward Burke’s property tax reduction work for the riverfront hotel and condominium that bears the name of President Donald Trump. But Ald. Burke said Monday he does not believe his brother’s March 20 defeat is a prelude to his own political demise. “He carried the 14th Ward. Not by enough to overcome the other areas. But fortunately, the people in the 14th Ward did vote for him,” the alderman said. Ortiz was part of a coordinated campaign led by Jesus “Chuy” Garcia, the Cook County commissioner who easily won the Democratic primary in the 4th Congressional District after being anointed by retiring U.S. Rep. Luis Gutierrez. Even more humiliating was the fact that Edward Burke managed to carry his own 14th Ward for his younger brother by just 62 votes. That’s the same 14th Ward where Garcia captured 64 percent of the vote in a 2015 mayoral run-off against incumbent Rahm Emanuel. “We are coming after Ed Burke,” said Balanoff, who managed the Ortiz campaign. Balanoff and Garcia could not be reached for comment on Burke’s decision to run for re-election. On the day after the election, Garcia was asked whether he intended to field an aldermanic challenger against Burke. Burke has run unopposed in 10 of the last 11 elections. He sits on a massive campaign war chest and has never won less than 70 percent of the vote. But even his political allies have acknowledged that Dan Burke’s March 20 defeat was a gut-punch that should prompt Edward Burke to at least entertain the thought of political retirement and working with Garcia to find a suitable Hispanic replacement. That would require burying a 19-year-old hatchet. Burke was instrumental in the Illinois Senate race that saw Antonio Munoz defeat Garcia. “He has an opportunity to put in a progressive Latino and ensure that whatever legacy he has in the 14th Ward will continue. If he doesn’t, he can stay and possibly lose — particularly if Chuy backs someone against him,” a Burke ally told the Sun-Times. For Burke, it would be difficult to voluntarily relinquish the trappings of power he covets so much. As Finance Committee chairman, he wields enormous influence over legislation, even when he abstains from votes because of the conflicts posed by having dozens of law clients doing business with the city. His fundraisers are packed. He is squired around the city by bodyguards, though Mayor Rahm Emanuel cut his security team in half. On Monday, Burke made it clear that the remark was not a prelude to political retirement. That’s no surprise to retiring Ald. Mike Zalewski (23rd). “I don’t believe for a second that Ald. Burke is interested in leaving,” Zalewski said last week. I was happy to see Mayoral Candidate Garry McCarthy at the Chicago Irish American Heritage Center today. Garry and his wife were very down to earth and pleasant to talk to. Last time I saw Superintendent Garry McCarthy is when he was running around the Chicago Personnel Board with lots of assistants in a great rush. Joe Ferguson was sitting in the reception area by himself. This is not the same Garry McCarthy. Garry was relaxed and fully in the driver’s seat. He was warm and surrounded by very loyal supporters. Many Chicago City workers were in attendance as was the media. I talked to a couple of the lunk heads starting B.S. outside and they were laughing because Rahm also paid them to make a scene. Would you act stupid and harass women for an extra $100.00? They quickly left when no one paid them any attention. Again, this was a smashing success for Garry McCarthy and his supporters. Garry, I wish you and your wonderful family the very best. I was treated like a king and all in attendance were able to talk to Garry and get answers to their concerns. Well, that is a change of pace in Chicago Politics!! Let the party begin!! Mayor Rahm Emanuel told U.S. Magistrate Judge Sidney Schenkier that Chicagoans should demand an honest government. This is very ironic since Emanuel’s own dishonesty was one of the reasons that made this federal court hearing necessary. Emanuel’s election victory to congress was the result of political corruption that led to a federal judge appointing a monitor to oversee City of Chicago personnel from 2004 to 2014. Before the FBI halted Chicago’s political and criminal scams that went undetected for decades, trucking company owners paid bribes to city employees and donated campaign contributions to politicians like Emanuel in return for the city paying the trucking companies $60 million a year to have their trucks sit idle in city parking lots. After pleading guilty, disgraced Deputy Water Department Commissioner Donald Tomczak testified at Robert Sorich’s federal court trial that up to 225 of his unlawful political soldiers campaigned for Emanuel when Emanuel ran for congress. In another federal court trial a second witness corroborated Tomzcak’s testimony about Emanuel’s ill-gotten congressional victory. He said that Emanuel joined his illicit congressional campaign workers for beers after they campaigned door to door on Emanuel’s behalf. If reporters inquired about Emanuel’s tainted congressional victory, Emanuel responded with, I’m not wallowing in the past, I’m looking forward to the future. Emanuel doesn’t even bother to deny his involvement in this massive scandal because he knows the evidence against him is irrefutable federal court testimony. The testimony implicating Emanuel is irrefutable because the federal court witnesses would have had their prison time extended for lying. How can voters trust Emanuel to provide honest Chicago government when he hasn’t been honest about his involvement in a scandal that included 60 convictions and the federal court monitoring city politicians and personnel for 10 years? Emanuel previously lied about remaining vigilante against corruption and cooperating with Chicago’s inspector general. More recently Emanuel has failed again to combat corruption as he promised in federal court. Emanuel continued to support Chicago Public School’s CEO Forrest Claypool after the Chicago Public School’s inspector general recommended firing Claypool for ethics violations and Claypool’s attempt to cover-up his misdeeds. Below is Emanuel’s federal court statement that contains his lie of leading a city government that keeps the people’s interest first. Emanuel’s support of CEO Claypool came after 99 percent of the Chicago Teachers Union (CTU) members approved a no-confidence vote in Claypool. Emanuel won’t dare claim his support of Claypool was in the best interest of CPS students, teachers, and parents when nearly every CTU member expressed no confidence in Claypool. After Claypool did not live up to Emanuel’s standards of honesty, professionalism, and transparency (see Emanuel’s quote above), 99% of the CTU members demanded Emanuel’s handpicked school board fire CEO Claypool. Instead of Emanuel following through on the words and values that he espoused in federal court, Emanuel stood up for his corrupt and disgraced CEO whom he had previously appointed. Since 1972 thirty-three Chicago aldermen have plead guilty, or either a judge or jury found them guilty. Thirty-three convicted aldermen is seven more aldermen necessary for a quorum to hold a City Council meeting. The staggering Chicago alderman conviction rate is one alderman is convicted every 16 months. In other words, 33 of the last 100 alderman have had a criminal conviction. Each guilty aldermen was trying to line his or her pocket with money they had no business taking. Soon the number of convicted aldermen will most likely rise to thirty-four. In Dec. 2016 Ald. Willie Cochran was charged with 11 counts of wire fraud, two counts of extortion and two counts of bribery. Allegedly Cochran stole charitable contributions intended for poor children and seniors and used most of his ill-gotten money to gamble. Cochran was charged with stealing charitable funds two years after Mayor Rahm Emanuel said in federal court, “… you can be confident that your city government operates in a way that keeps your interests, and only your interests, first.” Is Rahm Emanuel’s silence his way of maintaining Ald. Cochran was acting in the interest of the people of Chicago when he stole money from a charity to pay for his gambling? Why hasn’t Mayor Moral High Ground called for Cochran’s resignation since a grand jury indicted Cochran more than one year ago? Chicago has no frontline defense to stop corrupt aldermen. The FBI and Justice Department were responsible for the investigations and successful prosecutions of all 33 convicted aldermen. Four of the 33 aldermen were convicted of having ghost employees on their city council committees. Most likely former Alderman Tony Laurino would have been the fifth alderman convicted for having ghost employees on his City Council committee. Laurino did not officially make the aldermen hall of shame for providing 35 no-show jobs because he died before his trial. In spite of Mayor Emanuel’s federal court pledge to have a Chicago government that keeps residents’ interest first, the ordinance that handcuffed the inspector general’s office only protects the interest of Emanuel and his crony aldermen. Given Mayor Emanuel’s federal court promises to remain vigilante against corruption and lead a Chicago government that works only for the people’s interest, you would have expected Emanuel to move heaven and earth to pass an inspector general ordinance that could actually fight City Council corruption. Furthermore, the staggering conviction rate of one aldermen every 16 months and four aldermen previously convicted of ghost pay-rolling are other compelling reasons that should have persuaded Emanuel to put the full force of the mayor’s office behind an ordinance that gives the IG oversight of aldermanic committees and programs. By allowing aldermen to block the IG from investigating their committees and programs, Mayor Emanuel forsook his core values for a political purpose; he wants aldermen to vote his way on other matters. Emanuel garnering citizens’ votes on election day is easy compared to securing an alderman’s vote. To win the next election, Emanuel will tell voters what they want to hear–like the hollow promises Emanuel made in federal court. But aldermen desire something more than Emanuel’s meaningless rhetoric for their vote. They want something concrete and tangible in return for their support of Emanuel’s legislation. Aldermen are indebted to Emanuel because Emanuel protected the aldermen from the IG investigating their committees and programs. Lousy legislation is virtually guaranteed because Emanuel’s lackey aldermen will provide Emanuel with the votes he wants regardless of how bad Emanuel’s legislation is for taxpayers. You’ll see more aldermen going to jail and City Council waste because Emanuel agreed to block the IG from fully investigating aldermanic committees and programs. This is a typical Chicago politics win-win–a win for the Mayor Emanuel and a win for the aldermen who are in cahoots with the mayor. But it is not a win for the people’s interests that Emanuel pledged to protect in federal court. Rahm, shame on you for not honoring your promise to always put the citizen’s interest first. Mayor Rahm Emanuel told a whopper of a lie on June 16, 2014 in U.S. Magistrate Judge Sidney Schenkier’s standing room only courtroom. Dozens of Chicago style political discrimination victims, journalists, and other interested parties all came together for the historic removal of the federal court monitor. Mayor Richard M. Daley’s administration rigged interviews for job applicants who secretly campaigned for Daley backed candidates for 16 years. Consequently, in 2004 Judge Wayne Andersen appointed Noelle Brennan as a federal court monitor to oversee the City of Chicago’s personnel decisions. About 60 city employees either plead guilty or were convicted for their role in Chicago’s job and election rigging scheme. It took 10 years, a new mayor, the retirement of Judge Andersen, and the City of Chicago spending over $200 million in civil rights settlements, legal fees and human resource changes before Judge Schenkier agreed to end the federal court’s oversight. Mayor Emanuel and the city agreed to follow a Hiring Plan in return for the removal of the federal court monitor. Some of the Hiring Plan’s anti-corruption rules and procedures were making the Human Resource Department the “gatekeeper” of all city jobs instead of the mayor’s office, giving the Inspector General Office (IGO) hiring oversight and investigative authority. The IGO’s webpage states that it took over the federal court monitor’s duties on the day Emanuel testified in federal court. On Feb. 10, 2016 the City Council voted to restrict the IGO’s investigative authority. Thus, 18 months after Mayor Emanuel pledged to work cooperatively with the IGO, Emanuel was complicit in taking away the IGO’s investigation powers that he agreed to follow in federal court. Mayor Emanuel published nine press releases for ordinances that were approved on the day the City Council voted to reduce the IGO’s authority, but none of Emanuel’s nine press releases addresses the hot-button issue of the IGO’s reduced authority that the mayor said was essential to stopping corruption when he spoke in federal court. Mayor Rahm Emanuel lied in federal court when he promised to stay “vigilant” and “cooperate” with the IGO to keep Chicago moving forward. Emanuel sticking his head in the sand while his political allies passed the water-downed IGO ordinance is obstructionism, not the cooperation that Emanuel publicly pledged. The IGO has the expertise, experience, and resources to root out corruption. When Mayor Emanuel gave his blessings to handcuff the IGO, he was anything but vigilant as he had promised to maintain. If Mayor Emanuel truly meant what he said in federal court, he would have vetoed the IGO ordinance without a moment’s hesitation. Instead of Emanuel being true to his words in federal court, Emanuel acted like a coward by saying he merely went along with the aldermen. The next section discusses how corruption and another potential civil rights lawsuit have resulted from Emanuel’s failure to veto the ordinance that restricts the IGO’s investigative authority. On February 23, 2016 I filed a complaint with the IGO because Alderman Burke is managing the Chicago’s Workers Compensation Division through his aldermanic Committee on Finance (COF). The workers’ compensation program belongs in the executive branch of government as it is everywhere else in this country, not in Burke’s legislative committee. The next day Chicago Sun Times reporter Fran Spielman published a story in which attorney Michael Shakman said he agreed with me. Mr. Shakman said he made a mistake by allowing patronage employees to run Chicago’s Worker’s Compensation Division. Four days after my IGO complaint, the Sun Times published an editorial that called for moving Chicago’s workers comp program from Ald. Burke’s committee to a city department. The Richard M. Daley administration committed political discrimination because it awarded government jobs and promotions in a quid pro quo exchange for campaign work. Candidates, such as Mayor Richard M. Daley and Rahm Emanuel, did not pay for their campaign workers. The city compensated Daley and Emanuel’s congressional campaign workers in the form of new city employment and promotions that came from rigged job interviews. Instead of rewarding campaign workers with jobs and promotions, Alderman Burke is rewarding disability pay and benefits to injured city workers who are affiliated with his and the mayor’s political machine. Mayor Emanuel’s failure to veto the restrictive IG ordinance is creating a liability that could cost millions of dollars in another civil rights class action lawsuit. The Hiring Plan listed the job titles and job classifications for employees who work in Ald. Burke’s COF. Furthermore, Burke failed to seek the Department of Human Resources (DHR) commissioner’s permission to change 22 COF employees’ job titles as the Hiring Plan required. Ald. Burke also failed to notify the IGO of changes to his employees’ job titles as he was required. When I became aware that 22 of Alderman Burke’s COF employees had one job title for the COF and one job title for the DHR , I filed a second IGO complaint (See table Below). Ald. Ed Burke also created eight (8) new job classifications for his COF employees (See table below). The job classifications Burke created were not in the budget, nor were these jobs listed in the Hiring Plan. Burke creating job classifications on his own accord violates the Hiring Plan that Mayor Emanuel and the city agreed to follow in federal court. Unfortunately, Mayor Emanuel’s failure to veto the IGO ordinance prevents the IGO from investigating 22 of Burke’s employees using of two job titles and Burke’s creation of eight new job classifications in violation of the Hiring Plan. Ald. Burke ordering his employees to use two separate job titles is prima facia evidence of wrongdoing. Burke is purposely being deceitful and duplicitous because he wants to retain as many of his COF jobs for his own personal and political gain. On the one hand, the COF’s proper use of his employees job titles with the DHR keeps Ald. Burke and the COF in good stead with the DHR. On the other hand, COF employee’s use of unofficial job titles in the performance of their work make it appear that members of the Ald Burke’s staff are something other than the patronage employees that they really are. The COF’s abuse of job titles makes it seem COF employees are making independent and fair decisions based on fact, but the sad truth is the COF often decides Workers Comp cases based on political affiliation to Ald. Burke. We will never know the extent of Burke and the COF’s wrongdoing until Mayor Emanuel and the aldermen reinstate the IGO’s investigative power or the Justice Department investigates Burke’s committee for a third time. Please note that I only said Mayor Rahm Emanuel lied in federal court. Judge Schenkier did not have any of the witnesses who testified on June 16, 2014 swear to tell the truth, including Emanuel, myself, and everybody else who spoke at the hearing. Because he did not swear to tell the truth before he addressed the court, I deem Mayor Emanuel a liar, but not a perjurer. 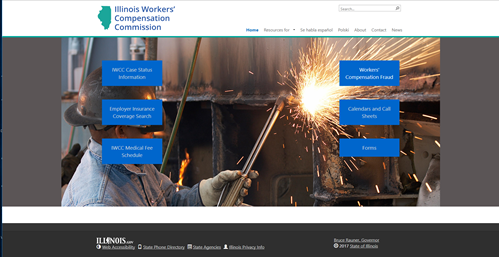 Illinois Workers Compensation Commission revealed a new website, according to my friends at the OIEG and the DoIT Illinois Department of Innovation and Technology. After checking the website by Chicago Clout IT hackers, many of the website weaknesses have been exposed. Please make sure you completely check all the information to be correct before you go online. CAPCHA is not working correctly on the site and much of the information on the cases are incorrect. IWCC needs to make sure this data is updated and correct. Trial dates are wrong, current lawyers are wrong, time of court dates are wrong. What a mess. Several new arbitrators have been names and have been appointed by governor Rauner. If you are an unconnected person and a democrat, you are screwed. Point blank. Most of the appointments are anti-labor lawyers. The main problem is the lack of experience in some instances. Let’s get the politics out of the workers Compensation system. Many injured workers are taking lousy settlements because they are so frustrated by the system. The WCLA associated attorneys are really doing them a disservice. Many cases are going to be dragged on for years because lawyers do not want to present their cases to Rauner appointed arbitrators. The entire workers’ compensation is every bit as messed up as their website. Welcome to the new corrupt IWCC in Cook County, Charles Watts, Steffen Ketki, Robert Luedke, Tiffany Nicole-Kay, Robert Harris, Thomas Cieko. Arbitrators are only 6 % black. I hope the Governor appoints more Hispanic, blacks to the Board. I know there is an abundance of Italians. Let’s pass the wealth around. On September 27, 2017, Reginald williams, a City of Chicago injured worker, exposes Alderman Burke, Anne M. Burke, Monica Sommerville, fraud, bogus lawyers, doctors, delays, scams. Please file complaints on all these bums to the ARDC. Workers need their workers compensation benefits when they get hurt. George Tamvakis, Neal Strom, bad lawyers.